A newly designed Burlington County bookmobile is set to hit the road and continue to deliver educational resources to residents in every corner of the county, Freeholder Deputy Director Linda Hughes said. The mobile library has been a long-standing Burlington County tradition. The first bookmobile, a Ford Model T, was put into service in 1921 when the county’s library system opened. 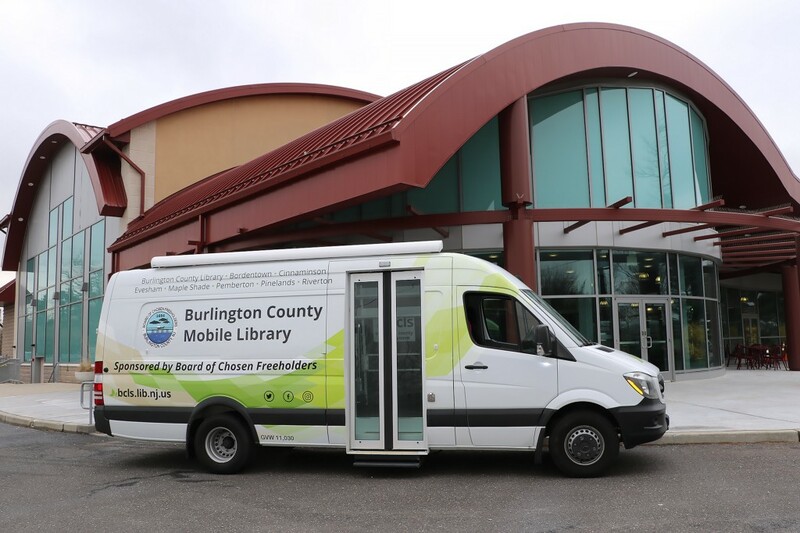 Today, the mobile library is equipped to bring more than 4,000 items directly to Burlington County residents, including books in regular and large print, children’s books, audio books, DVDs, and CDs. Daily visits are made to senior communities, apartment complexes, and other public sites all throughout the county, and in the past the bookmobile has been to popular events such as the Burlington County Farm Fair and Touch-a-Truck. School visits with the mobile library can be arranged on an as request basis and are coordinated around the public schedule. Last year, nearly 12,000 items were checked out from the bookmobile. “The bookmobile brings so much directly to our residents at locations that are convenient for them. I encourage everyone in the county to take advantage of all that our library system has to offer,” concluded Deputy Director Hughes. A regular Burlington County Library System card is needed to use the service. Residents may register for a library card when visiting the mobile library or any of the branch or member locations.